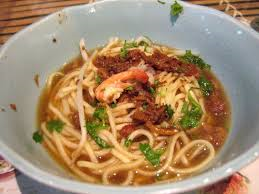 Taiwan cuisine is influenced by its geographical location. 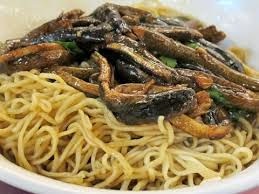 It has to depend on the farmlands for sources of protein and therefore has a lot of seafood figures in their dishes. Since the island is at the sub-tropical location, there is an abundant supply of various fruits which can also be found in their dishes. 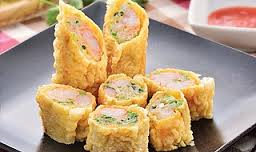 Not only that, the most delicious and important part of the Taiwanese cuisine is xiaochi also known as snacks. 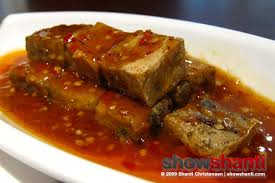 -Fermented tofu with a strong odour, favoured by many Taiwanese. 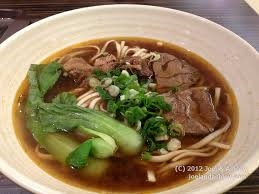 -Although some Taiwanese cannot consume beef due to religion traditions, they still enjoyed it. One of Taiwan’s greatest attractions is the sheer range and depth of its festivals, all celebrated with a passion and fervour unique to the island. While the biggest ones are the traditional Chinese festivals – which double as public holidays – there is also an eclectic collection of religious festivals as well as an amazing array of time-honoured aboriginal celebrations. The majority of cultural and religious festivals follow the Chinese lunar calendar. As such, the actual Gregorian calendar dates on which they are celebrated tend to fluctuate significantly each year – in our festivals calendar, we have listed them under the Gregorian calendar month in which they are usually celebrated, with a note of their actual Chinese lunar calendar dates. We also specify which are public holidays (P), during which banks and government and private offices are closed, though many shops and restaurants remain open. Though Chinese traditional and religious festivals are routinely well publicized, many aboriginal celebrations remain closely guarded secrets, and even local tourism officials are often confused about or unaware of the actual dates on which they are observed. Villages typically stage their own celebrations, and tribal elders usually set the dates for these in accordance with a variety of factors. Further complicating this, established dates can be changed at the last minute in the face of inauspicious omens such as the sudden illness or death of a village elder. Finally, the truly authentic aboriginal celebrations are taken very seriously, with ancient rituals performed with pinpoint precision. As such, most tribes don’t want their traditions to become a spectacle for busloads of camera-toting tourists, so many – especially those along the east coast – make a concerted effort to hide their celebration dates from tourism officials. However, individual travellers or those in small groups are generally welcomed to events such as harvest festivals with open arms, often being invited to drink local spirits with the tribesmen. Those fortunate enough to experience these thriving cultures will learn about a side of Taiwan that most foreigners – and many Taiwanese – know precious little about, and it’s well worth the effort to seek them out. Foundation Day/New Year’s Day Jan 1 (P). Marks the founding of the Republic of China in 1911, but also gives a nod to the beginning of the Gregorian calendar year. Offices and schools are shut, with many remaining closed on Jan 2 & 3. Chinese New Year (chūn jié) Lunar Jan 1–3 (P). Taiwan’s most important festival, marking the start of the Chinese year. Celebrations centre mostly on family gatherings with lavish meals; “lucky” money in small red envelopes is exchanged; fairs and public parades are held. Qingshui Zushi’s Birthday Lunar Jan 6. Commemorates the quasi-historic figure from Fujian, revered for his wisdom and munificence. Main ceremonies at Zushi Temple in Sanxia, outside Taipei, including the ritual slaying of “God Pigs”. Jade Emperor’s Birthday Lunar Jan 9. Pays tribute to the chief Taoist deity, the head of celestial government thought to mirror that of imperial China. Main ceremonies at temples in Daxi, Taichung and Tainan. Lantern Festival Lunar Jan 15. Marks the end of Chinese New Year festivities, but itself often lasts several days in big cities such as Taipei and Kaohsiung. Main activity is the public display of paper lanterns; in some cities, paper lanterns are launched into the sky, most famously during the Heavenly Lantern Festival in Pingxi; another popular event is the Beehive Rockets Festival in Yanshui near Tainan, where an almost 200-year tradition of setting off fireworks has transformed into an annual free-for-all. Peace Memorial Day Feb 28 (P). Instituted in 1997, and also known as “2-28 Memorial Day”, it commemorates the 2-28 Incident. Wenchang Dijun’s Birthday Lunar Feb 3. Pays respect to the god of literature or culture, revered by students and their parents ahead of exams. Offerings of incense and wishes are written on colourful paper placed in glass jars. Mayasvi Festival Tsou tribe celebration of warriors returning from battle, with rituals giving thanks to the god of war and the god of heaven. Hosted annually in rotation between Dabang and Tefuye villages. Guanyin’s Birthday Lunar Feb 19. The goddess of mercy’s birthday is celebrated at Buddhist temples throughout the country, but the main place to mark the occasion is Taipei’s Longshan Temple. The event is also marked at the Zizhu Temple in Neimen (near Kaohsiung), which holds a festival celebrating its 300-plus-year history as one of the most sacred sites for Taiwanese Buddhists. The festival features the island’s most important annual performances of the Song Jiang Battle Array, ritualized martial performing arts depicting symbolic battles with a variety of traditional weapons, including farm tools. Youth Day March 29. Pays tribute to the more than one hundred of Sun Yat-sen’s revolutionaries who were killed in the failed Canton Uprising against the imperial Qing government on March 29, 1911. Taiwan’s president officiates at a public service at the National Revolutionary Martyrs’ Shrine in Taipei, and local governments hold similar ceremonies. Queen Mother of the West’s Birthday Lunar March 3. Honours the highest-ranking female deity, often portrayed as the Jade Emperor’s wife. Main festivities in Hualien (where it is celebrated on Lunar 18/7), the centre of her cult in Taiwan. Supreme Emperor of the Dark Heaven’s Birthday Lunar March 3. Pays respect to the controller of the elements, particularly fire. Worshipped at some four hundred temples throughout Taiwan. Tomb Sweeping Day (qīngmíng) April 5 (P). Families visit cemeteries to clean graves of relatives and pay respects to their ancestors. In Taiwan, it’s celebrated on the anniversary of Chiang Kai-shek’s death. “Grave cakes” are offered and paper money is burnt. Baosheng Dadi’s Birthday Lunar March 15. Marks the birthday of Baosheng Dadi, the “Great Emperor who Preserves Life”. Biggest celebration is held in Xuejia, north of Tainan. Bunun Ear-shooting Festival Most important celebration of the Bunun tribe, traditionally a test of archery skills to mark the coming of age of the tribe’s males. Dajia Mazu Pilgrimage This eight-day, seven-night pilgrimage comprises one of the world’s biggest religious festivals, with worshippers parading a caravan containing one of the island’s most revered Mazu deities around a circuit before returning it to its mother temple in Dajia. Always preceding Mazu’s birthday celebration, the pilgrimage is part of the month-long Dajia Mazu Culture Festival. Mazu’s Birthday Lunar March 23. One of Taiwan’s most important folk festivals, celebrating the birthday of Mazu, goddess of the sea, the island’s most popular folk deity. Mazu deities are returned to their “mother temples” on this day to be blessed and increase their spiritual powers. The liveliest celebrations are held at Dajia’s Zhenlan Temple, Beigang’s Chaotian Temple and Lugang’s Tianhou Temple. Labour Day May 1 (P). Celebrates workers’ rights and the eight-hour workday in line with international convention. Cleansing Buddha Festival Lunar April 8. Celebrates the birth of Buddha in accordance with the Mahayana school. Worshippers flock to Buddhist temples island-wide, with monasteries such as Chung Tai Chan, Foguangshan and Dharma Drum hosting legions of devotees. Tainan City God Birthday Lunar April 20. Main festivities are held at the venerated Tainan City God Temple. Dragon Boat Festival (duānwŭ jié) Lunar May 5 (P). One of the three major Chinese holidays, featuring dragon boat races held in honour of the poet Qu Yuan who, according to legend, drowned himself in protest after being slandered by envious officials on this date in 280 BC. Races are held in most major cities with waterways – including international races in Taipei, Lugang and Keelung – but the most distinctly Taiwanese are the aboriginal-style races held in Erlong, near the east coast hot-springs resort of Jiaoxi. Taipei City God Birthday Lunar May 13. Includes fireworks, elaborate dances by temple guardians and a lavish parade in which the deity is carried around the streets surrounding Taipei’s City God Temple. Guan Di’s Birthday Lunar June 24. Honours one of Taiwan’s most admired deities, the red-faced patron of chivalrous warriors, misleadingly known as the god of war. Ceremonies held island-wide, but Taipei’s Xingtian Temple hosts the biggest. Yimin Festival Lunar July. The most important annual observance of the Hakka people honours groups of Hakka militia from the late eighteenth century. The main celebration is held at the Yimin Temple in Fangliao, near Hsinchu, and is marked by offerings to ancestors, music and the ritual slaying of several dozen force-fed “God Pigs” – an increasingly controversial ceremony that is seldom witnessed by foreigners. Ami Harvest Festival One of the most colourful aboriginal celebrations, centred on dancing, singing and coming-of-age rituals for young men. Although dates vary from year to year, the most important festival of the Ami tribe is generally held in late summer, often in August. Ask at villages north of Taitung. Ghost Month Begins (guǐyuè) Lunar July 1. The time when the gates of hell are opened and spirits of “hungry ghosts” haunt the living. Daily rituals include burning of incense and paper money, while major festivals are held in Keelung, Toucheng and Hengchun at the middle and end of the month. Ghost Festival (yúlán jié) Lunar July 15. Appeasement ceremonies held at temples across the island. Families offer flowers, fruit and three sacrificial offerings: chicken (or duck), pig and fish. Taiwan’s most famous is the Keelung Ghost Festival, where an elaborate night parade is held before thousands of glowing “water lanterns” are released onto the Keelung River. Ghost Month Ends Midnight Lunar July 30. On the last day of Ghost Month, the gates of hell close and hungry ghosts return to the underworld. In the month’s last hour, contests called …qiǎng gū – in which men race to climb tall bamboo towers to collect meat and rice dumplings – are held; the most famous is in Toucheng near Yilan, while a similar event is also staged in Hengchun in the southwest. Thao Pestle Music Festival Held during the seventh lunar month in Itashao Village on Sun Moon Lake, members of the Thao tribe – Taiwan’s smallest aboriginal group – pound grain into a stone mortar with bamboo pestles, creating a traditional harmony. Armed Forces Day Sept 3. Honours all branches of Taiwan’s military while also marking the end of China’s eight-year War of Resistance against Japan. Big ceremonies at martyrs’ shrines around Taiwan and military parades in the big cities. Teachers’ Day/Confucius’s Birthday Sept 28. Pays tribute to teachers on the birthday of China’s best-known educator and scholar, Confucius. Unique dawn ceremonies are held at Confucius temples nationwide, with the biggest at Taipei’s Confucius Temple. Mid-Autumn Festival (zhōngqiūjié) Lunar Aug 15 (P). Also known as the “Moon Festival” – families gather in parks and scenic spots to admire what is regarded as the year’s most luminous moon and to share moon cakes and pomeloes. Since the festival coincides with the autumn harvest, the Taiwanese also mark it by making offerings to the Earth God for a bountiful harvest. Double Ninth Day Lunar Aug 9. Nine is a number associated with yang, or male energy, and on the ninth day of the ninth lunar month certain qualities such as male strength are celebrated through a variety of activities, including hill walking and drinking chrysanthemum wine; kite-flying is also popular. In 1966, the day also was designated as “Senior Citizens Day”, and since then it has been viewed as a time to pay respects to the elderly. Hualien Stone Sculpture Festival Highlights the work of local and international stone sculptors (see Hualien). Sanyi Woodcarving Festival Held in Taiwan’s woodcarving capital to celebrate the craft. Includes ice sculpting and carving contests (see Sanyi). National Day Oct 10 (P). Also known as “Double Tenth Day”, it commemorates the Wuchang Uprising that led to the overthrow of the Qing dynasty in 1911 by revolutionaries led by Sun Yat-sen. Military and public parades and fireworks displays are held in front of the Presidential Building in Taipei. Retrocession Day Oct 25. Marks the official end of fifty years of Japanese colonial rule over Taiwan on October 25, 1945. The national flag is flown everywhere. Austronesian Culture Festival International festival of aboriginal cultures in Taitung, designed to instil pride and preserve traditions, using the example of indigenous peoples such as the Maori of New Zealand. Rukai Black Rice Festival The Rukai tribe’s major festival, named in honour of what was once their staple diet but is rarely seen today. Offerings are made for abundant harvests, and it’s a traditional time for marriage proposals and weddings. The biggest ceremony is held at Duona, usually in late November, in Maolin National Scenic Area. Ritual of the Short Black People The most poignant expression of Saisiyat (“true people”) identity, meant to appease spirits of a people the tribe are believed to have exterminated. Major festival held every ten years, with a smaller one every other year. Birth of Bodhidharma Lunar Oct 5. Honours the legendary Buddhist monk, also known as the Tripitaka Dharma Master, traditionally credited as the founder of the meditative Chan – or Zen as it’s known in Japan and the West – school of Buddhism. Rites performed at the Chung Tai Chan Monastery near Puli. Sun Yat-sen’s Birthday Nov 12 (P). Marks the birthday of Sun Yat-sen, founder of the Republic of China and the Chinese Nationalist Party who is commonly known as the father of modern China. 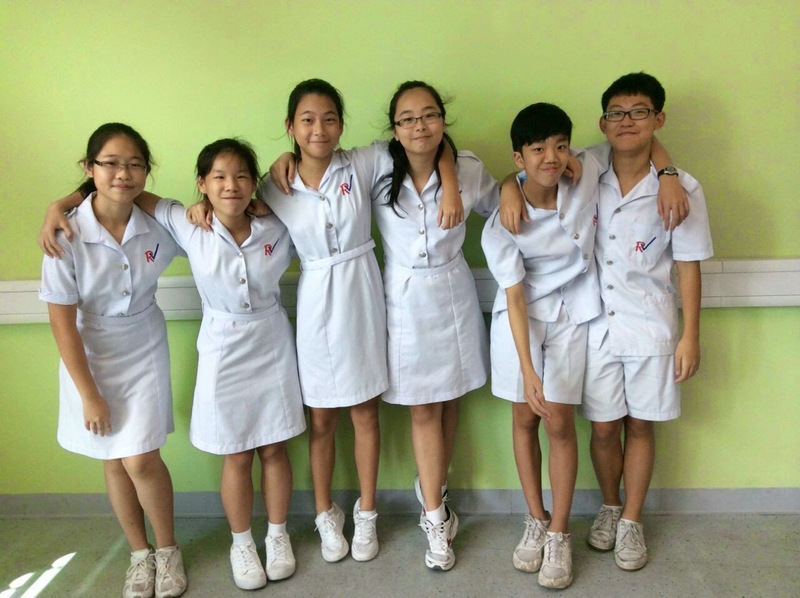 Qingshan’s Birthday Lunar Oct 22. Celebrates the birthday of the King of Qingshan (Green Mountain), who is believed to ward off pestilence and dispense justice in the underworld. Ceremonies held at Taipei’s ornate Qingshan Temple. Puyuma Ear-shooting Festival Celebration of the Puyuma tribe, traditionally a test of archery skills. Rituals held near Zhiben, to the south of Taitung. Constitution Day Dec 25. Commemorates the passage of the Constitution of the Republic of China on December 25, 1946. The national flag is flown throughout the country, but these days Christmas is celebrated. Religious beliefs : Most of the people are followers of China's three religious traditions; Confucianism, Taoism, and Buddhism, collectively referred to as the "three teachings," or sanjiao. Each religion has a long history and its own temples, priests, and sacred texts. Although the elite make distinctions between the sanjiao, most people practice a syncretic blend referred to as popular or folk religion. Popular religion includes elements of these three sets of teachings, along with beliefs in ancestors, ghosts, magic, and the efficacy of religious mediums. Popular religion is based on localized cults of nearly two hundred gods. The cults are centered in thousands of temples throughout the island. Many of the gods were originally historical figures who founded communities in Fujian during the Song Dynasty and were brought to Taiwan by Han immigrants. The gods were a source of magical power, or ling, which could be tapped through ritual. They were also the focal point of the community, bringing people together to form new social groupings. If families left to form a new community, they brought a newly carved statue of their god with them. In a ritual called dividing incense ( fenxiang, ) they formed a new temple, which remained linked to the mother temple. On a god's birthday, pilgrims pay their respects to the temples from which their own temples are descended. Through their travel, they retrace their region's history and reconfirm their subethnic ties. Rural industrialization brought prosperity to many communities, which rebuilt their temples or constructed new ones. The gods continue to play a role in mediating community and regional relationships in an industrial society.Two percent of the population is Protestant. The Canadian Presbyterian missionary George Leslie MacKay came to the country in the 1870s and established sixty churches and trained native missionaries until the Japanese undid much of his work. Protestantism has remained strong among the aborigines and Hakka. In the postwar period, Taiwanese Protestant leaders played a leading role in the opposition movement for human rights and democracy and suffered the consequences of defying the government's authority with detention, prison, and self-exile. Rapid modernization has spawned many new religions, which have their roots in popular religion but address the social and psychological dislocations caused by modernity. One popular new religion, Yiguandao, states that the Maitreya Buddha has returned to the world to spread the Tao and save the world from destruction. Religious practitioners : Each of the three great religions has priests who are responsible for observing the religious calendar and carrying out the prescribed rituals. The most colorful are the spirit mediums tongqi. Gods possess a tongqi and through him or her communicate to cult followers verbally or in the form of "spirit writing." The tongqi also dispenses charms in response to personal requests for aid, holding office hours certain days of the week. Rituals and holy practices : The gods are honored on their birthdays in a public demonstration of popular religion. The gods are brought out of their temples and paraded down the streets in elaborately carved palanquins rolled along by four men. Two men carry a litter on which the god's spirit descends violently, shaking and rocking the chair. The procession is led by the tongqi who falls into a trance while possessed by the god's spirit and practices self-mortification, by piercing his cheek with a skewer, slashing his chest with a sword, or banging his forehead with a ball of nails. The entourage visits each follower's household, which displays an offering of food on a table outside the front gate. Afterward, tables are set up in the street and a banquet is held for all temple members. The more faithful go on a pilgrimage that includes visits to other temples dedicated to their god and eventually arrive at the god's home temple, which usually is in the south, where the first immigrants arrived. The birthday of Mazu, Taiwan's most popular god, is celebrated on 23 May. The main ritual honoring ancestors occurs during the Qingming festival on 5 and 6 April. Family members gather and visit the graves of their ancestors to burn offerings of paper money and incense. The offerings are preceded by a flurry of activity to clear the overgrown gravesite. The Ghost Festival on 15 July is a three-day affair in which ghosts of all stripes are propitiated. The 15 August Mid-Autumn Festival rounds out the ceremonial calendar as families worship the moon god and ask for protection, fortune, and family unity. Death and afterlife : Taiwanese believe in the Buddhist heaven and hell and reincarnation. A good life is rewarded in heaven, and a bad life in hell, before reincarnation. A person's fate is determined by past lives. One can improve one's fortunes after death by performing good deeds while one is alive. Through special prayers and offerings, the living can improve the afterworld conditions of the deceased and their chances in the afterlife.